It’s that time of the year again, Lakme fashion week is here. The best designers, models, stylists and celebrities come together to unveil the most stylish looks this season. And Vaani Kapoor was at her stylish best, yet again. To know more about her look, keep reading. 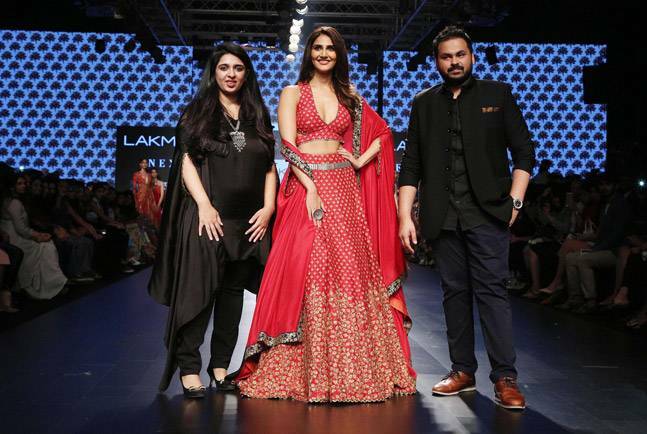 Vaani Kapoor wore a Sonal and Paras Modi creation at Lakme Fashion Week. 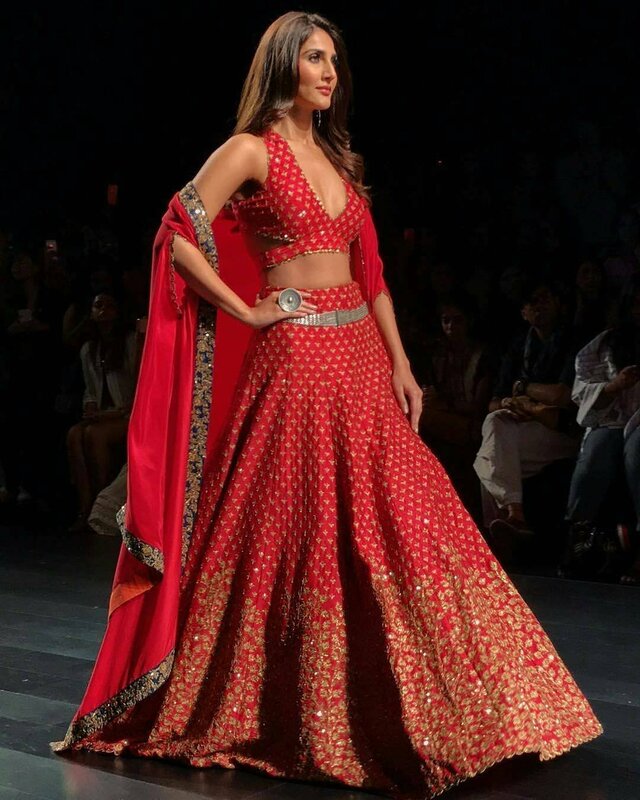 She looked nothing like a royalty look in her red lehenga. She looked simple and very elegant. The lehenga had embriodary with floral handiwork, which was beautiful. Also, her crimson halter blouse added to the entire look. Here are some amazing pictures of the fashionista! If you like this article, spread the love by sharing it with your friends. Don’t forget to subscribe to our website for the latest style update. Stay stylish!